FILE- In this April 6, 2018, file photo Chinese Ministry of Commerce spokesman Gao Feng leaves after a press conference at the Ministry of Commerce in Beijing. The Trump administration and China are facing growing pressure to blink in their six-month stare-down over trade because of jittery markets and portents of economic weakness. The longer their trade war lasts, the longer companies and consumers will feel the pain of higher-priced imports and exports. The Trump administration and China are facing growing pressure to blink in their six-month stare-down over trade because of jittery markets and portents of economic weakness. The import taxes the two sides have imposed on hundreds of billions of each other's goods — and the threat of more to come — have heightened anxiety on each side of the Pacific. The longer their trade war lasts, the longer companies and consumers will feel the pain of higher-priced imports and exports. Their conflict is occurring against the backdrop of a slowdown in China and an expected U.S. slump that a prolonged trade war could worsen — a fear that's weighing on financial markets. Yet those very pressures, analysts say, give the two countries a stronger incentive to make peace. "The U.S. and China now have a strong shared interest in striking a deal in order to halt the downward spiral in business and investor confidence, which have taken a beating in both their economies," said Eswar Prasad, professor of trade policy at Cornell University. 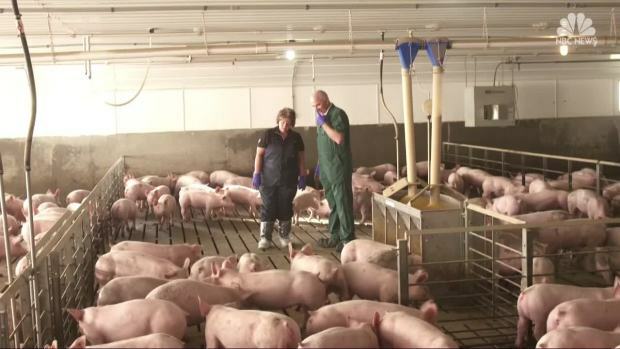 The White House says it will distribute $12 billion in "temporary relief" to farmers already hit hard by the president's trade war tariffs. The economic threats, agreed Wang Yong, an international relations specialist at Peking University, "might be conducive to negotiations" by nudging Beijing toward market-oriented changes long sought by the United States. Still, it will hardly be easy to bridge the complex differences between the world's top two economies. They range from President Donald Trump's insistence that China buy more U.S. products to widespread assertions that Beijing steals trade secrets from foreign companies operating in China. Negotiations between the two nations are expected to resume next week. 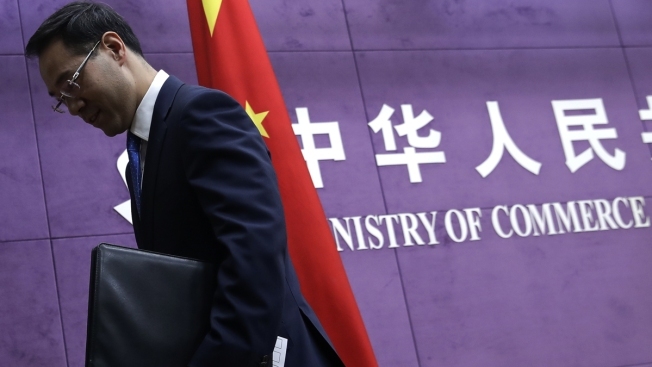 Gao Feng, a spokesman for China's Commerce Ministry, said last week that the two sides have "made specific arrangements for face-to-face meetings" and are talking by phone. Gao offered no details, and the Office of the U.S. Trade Representative declined to confirm the talks. The world is watching anxiously. China and the United States, the two largest economies, are the "main engines of the world," noted Song Lifang, an economist at Renmin University in Beijing. That makes their dispute "a matter not only for the two countries but for the world," he added. The dispute is "a major factor" in a slowdown in global growth, Song said, and a settlement would "help in arresting the decline of the economies of the two countries and of the world." Trump has long complained about America's gaping trade deficit with China: The gap between what Americans sold and what they bought from China in 2017 amounted to $336 billion and will likely be higher in 2018. But the dispute goes far deeper than lopsided exports and imports. It's fundamentally a high-stakes conflict over the economy of the future. The U.S. government entered a partial shutdown after Congress failed to reach agreement on a spending bill. The U.S. accuses China of deploying predatory tactics in a drive to surpass America's technological supremacy. A report in March by the U.S. Trade Representative accused China of hacking into U.S. companies' computer networks to steal secrets and coercing American companies to hand over technology as the price of admission to the Chinese market. To try to compel China to reform its ways, Washington has imposed tariffs on $250 billion in Chinese imports; Beijing has counterpunched by taxing $110 billion in U.S. goods. 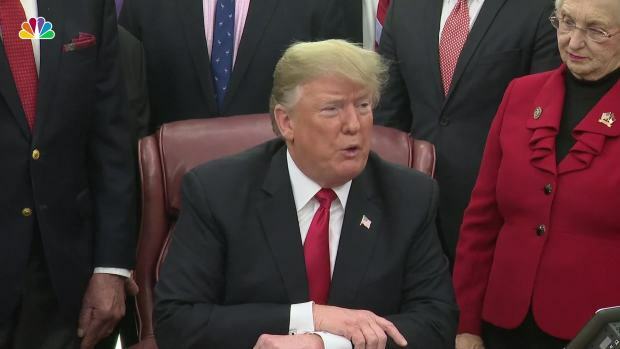 Trump had been set to raise the tariffs on most of the Chinese goods on Jan. 1. But he and President Xi Jinping agreed to a 90-day cease-fire to try to resolve their differences. Since then, the case for peace has strengthened as economic risks in the U.S. and China have grown and financial markets have reeled. For 2018, the Dow Jones Industrial Average — America's highest-profile stock market benchmark — fell nearly 6 percent, its worst performance since 2008. China's Shanghai Composite Index sank nearly 25 percent. On top of concerns about collateral damage from the U.S.-China trade war, investors in the U.S. markets are worrying about rising interest rates and a wobbly U.S. real estate market. Fears are growing that the second-longest economic expansion in U.S. history could slide to a halt next year or in 2020. Cutting a deal with Beijing could help at least reduce the threat. China's economy has been decelerating since the government pulled back on bank lending a year ago to try to curb a run-up in debt. The International Monetary Fund estimates that China's economy grew about 6.6 percent in 2018, down from 6.9 percent in 2017. But heavy government spending masked weakness in private-sector activity. In December, factory activity shrank for the first time in more than two years. Auto sales in China plunged 16 percent in November from a year earlier. It was the fourth month of contraction, and it put annual sales in the world's biggest auto market on track to contract for the first time in three decades. 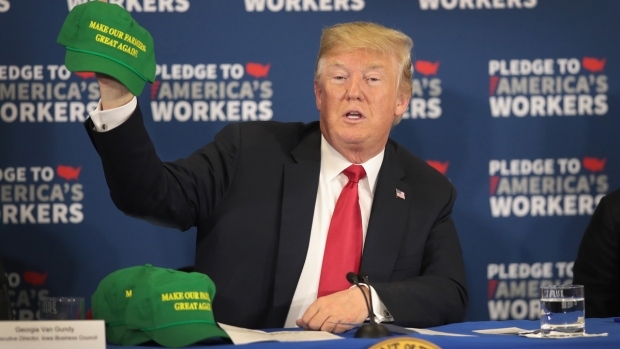 President Trump came to Iowa on Thursday, bringing hats that said "Make Our Famers Great Again" and reassuring farmers that new negotiations with Europe could help repair damage from retaliatory tariffs. Meanwhile, in Washington, some House Republicans moved to impeach Deputy Attorney General Rod Rosenstein, against the will of party leadership. Despite its softening economy, China will likely find it difficult to comply with U.S. demands to slow its economic ambitions. Those ambitions cut to the heart to China's drive to become the world's 21st century economic superpower. "It is difficult to solve the trade dispute immediately because the U.S. demands are too high, especially demands for changes in China's economic and social systems, which it is difficult for China to accept," said Song, the economist at Renmin University. Wendy Cutler, a former U.S. trade negotiator, said the U.S. likely can't realistically settle for anything less than an agreement by Beijing to reform how it does business. "There are certainly compelling reasons for both sides to reach a deal and avoid further tariff increases," said Cutler, now vice president at the Asia Society Policy Institute. "However, these reasons can only take you so far... Without a strong deal that addresses structural issues, it sets the administration up for critics to say, 'You took us into a trade war for this?' "